Wow!! Just opening this bag will clear your head!! It's very strong so always use caution especially with little ones... a small bit added to your bath will clear that head & chest congestion for sure! Try adding a small bowl near your bed at night just be sure to keep clear of kiddos & pets. You can also add a small amount to a nice hot foot soak! In addition, to alleviating coughs and congestion associated with colds/flu, this is also a great blend for tired, overused muscles! 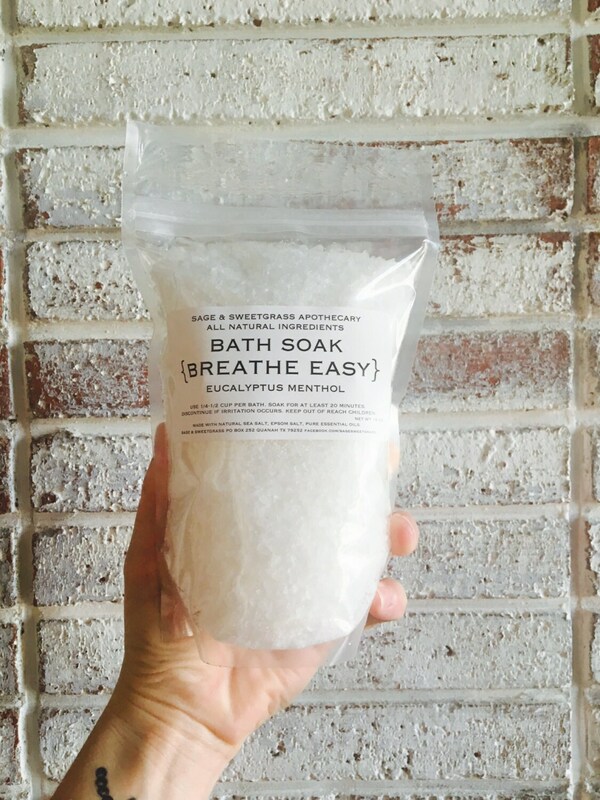 Just add 1/3 to 1/2 cup of the salts to a bath for a soothing, luxurious experience! ***To maintain freshness always reseal you bag or transfer salts to your favorite container with a tight lid. Each bag weighs one pound & is made with a natural blend of Sea Salt, Epsom Salt & pure essential oils.